Like a flavorless drink, this FX premiere of “Terriers” is way too bland and isn’t the least bit exciting. It’s so bad, you have to force yourself to stay focused enough to watch. The weak story hurts what could have made this series premier a delightful gem. Forget being an eventual sleeper hit too, this series is more like a spec of dirt on a crowded TV scene. 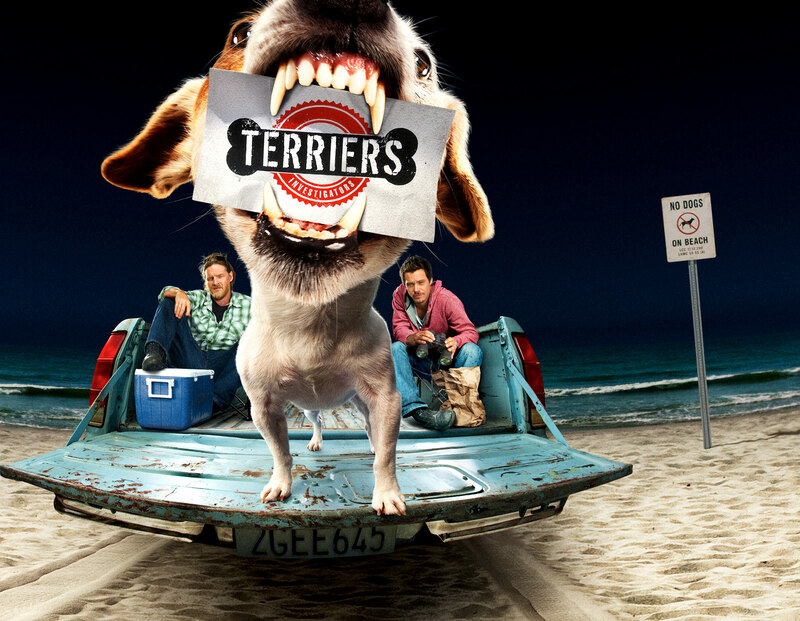 “Terriers” is a comedic drama starring Donal Logue [“Grounded For Life”] and Michael Raymond-James [“True Blood”]. This show focuses on Hank Dalworth, (Logue) who is an ex-cop that partners up with his best friend Britt Pollack,(Raymond-James) in an unlicensed private investigation business. Hank and Britt help out an old drinking buddy and uncover corruption along the way in Ocean beach California where the show takes place. idea itself for the show is unoriginal to boot, and nothing to get excited about moving forward. Although Logue and Raymond James do work well together and are a decent tag team, there isn’t enough to show you that this series will take off and become entertaining. For many sitcoms, the right ingredients could always spice up some catchy ideas that can make a great story stick around for a while. Unfortunately with this story, the ingredients are not good enough to keep you in the fold, thus wasting the capable acting abilities of this show’s two stars.